John M. McNally (BSCS 1983 Univ of MO-Rolla, MBA 2000 Fontbonne University) has served as Director of Systems and Software for A123 Systems, Inc. Energy Solutions Group since joining the Company in April of 2008. After graduating from UMR in 1983, Mr. McNally joined McDonnell-Douglas Corporation in their Flight Simulation Laboratories, working on the Navy's Advanced Tactical Aircraft (ATA) program. In 1987 he left McDonnell-Douglas to form CompuSci, Inc., a software development concern, with fellow UMR alumnus, Christopher J. Musial, where the company invented PowerMon® power monitoring software for servers and workstations. After selling CompuSci to Systems Enhancement Corporation in 1995, John joined SEC as Vice President of Engineering and remained with SEC after its acquisition by American Power Conversion (APC) in 1997. At APC, John was Director of Engineering for the Availability Enhancements Group, responsible for networking software and connectivity products development. In 2006, John joined Panduit Corporation, a global supplier of networking connectivity equipment and software as Vice President of Business Development, where he spearheaded development of Panduit's Physical Infrastructure Manager® software and hardware products. 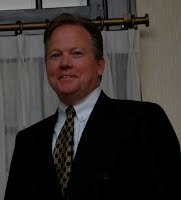 Mr. McNally has 7 patents and pending patents related to power distribution and physical network infrastructure security. John resides in Chicago with his wife, Megan, and their children.